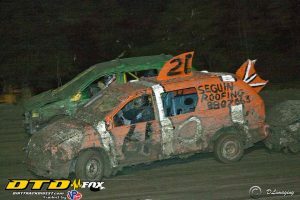 This past Sunday, Cornwall Motor Speedway’s season officially came to an end with the annual Fireball Enduro. 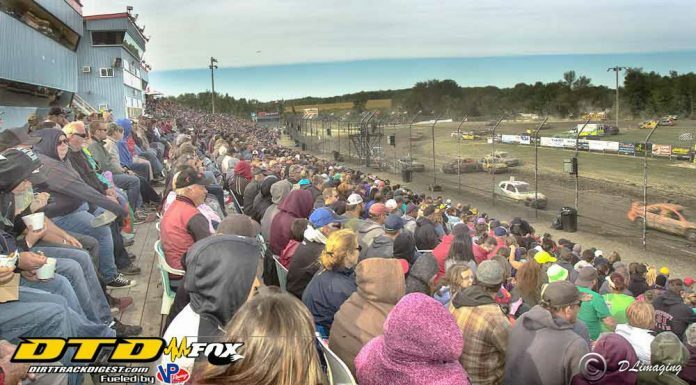 As in past years, there wasn’t a seat left in the house and the pit area was full to capacity to the point where cars were put in the infield to accommodate the number of cars entered. 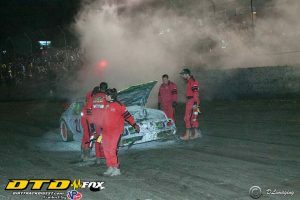 This is what happens when the annual Fire Ball Enduro comes to the Cornwall Motor Speedway. Undoubtedly the most popular dirt track race in Ontario and Quebec, this event always attracts a capacity crowd. This year’s event attracted close to 5,000 spectators, not to mention all the racers. Today, this growing event is still run with the same concept that Ron had created back in 1982. Current track owner Raymond Lavergne has kept the status quo with Ron’s concept of the Enduro. This year’s event hosted five classes with the first race of the day being the four-cylinder for the women, followed by two men’s four-cylinder races. The men’s 6 cylinders, minivan, men’s eight cylinders and final race of the day were the open class. The women’s four-cylinder once again saw Amy Mclaughlin Wheeler competed in her 7th Enduro. 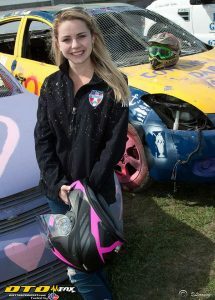 Two years ago, Amy slid off the track in the opening laps of the race and flipped the car upside down into the adjacent creek running alongside the back end of the track. It took the Cornwall safety crew less than a minute to run down into the creek and fiscally lift the car up enough to get her out safely. The now 21-year-old quickly put that experience in the past and has continued to compete in the Enduro. It seems to be the sentiment through the entire field of racers. There is just something about racing the Enduro that attracts so many people from far and wide. As the day’s racing continued on, the track became more and more challenging. But the competitors kept racing no matter how difficult the track became. I asked Raymond what his thoughts were on why this event is so successful. 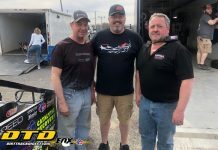 As the day’s racing unfolded, the crowd hung in to the end to see the final race of the night — the open class where anything that was left running could compete. 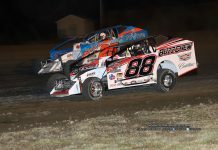 After 30 minutes of racing, and the track littered with broken cars, officials called the final race — a fitting closure to a great season at the Cornwall Motor Speedway. 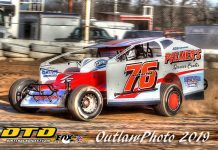 It was a great day of racing for all, with some good winners visiting victory lane and plans for some have already begun for next year.